Directory listings that provide executive outplacement services to corporations. provides outplacement, redundancy administration and career counselling services to businesses based in the East Midlands, UK. Outplacement for the high-tech community. Assists individuals and organizations achieve their career goals through customized executive development and leadership coaching processes for executives, key performers, and management teams. Provides corporate clients outplacement and career transition assistance including web-based services and executive recruiting services. Provides nationwide executive outplacement services. Specializing in outplacement and career transition services, candidate assessments, and corporate surveys. Learning, career, and performance consultancy. 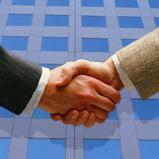 Assists corporations and ultimately individuals to manage career transitions. 9. Garth Toombs & Associates Inc. Provides career management, outplacement services, and organizational effectiveness programs in Alberta. Glide Outplacement Australia is a leading outplacement services and career coaching firm based in Brisbane, offering services throughout Australia including Sydney, Melbourne, Canberra and Adelaide.